What is Bigs in BlueSM? Bigs in BlueSM is a one-to-one mentoring program that connects youth with police in communities throughout our nation, building strong, trusting, lasting relationships. These relationships can help build stronger bonds between law enforcement and the families they serve. We are pleased to roll out this initiative across the nation and looking for your support. Learn more or give a gift to support Bigs in BlueSM by selecting one of the options below. Thank you for your support. Start or expand this program in at least one-third of our over 300 local affiliates. Raise $5 MILLION for program development and grants to local affiliates. To date we have raised over $1 million thanks to generous supporters. When Big Brother Ryan lost his house, and his dog, to an electrical fire, his Little Brother, Robert, was worried and scared. Matched for nearly two years, Ryan, who works as a detective with the Roanoke Police Department, and Robert, have formed a close bond. 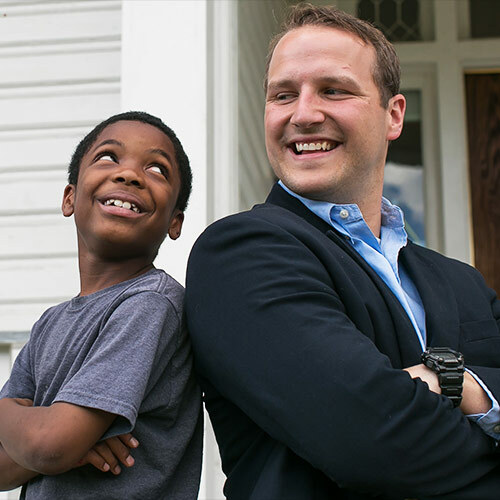 When Robert and his family first heard about the fire, they immediately called their BBBS Match Support Specialist. How could they support Ryan? Was he safe? Ryan jumped back into his weekly meetings with his Little Brother and reminded him that they are always brothers and are there to support one another in hard times. Please contact [email protected] or call 813-440-3589 for all immediate press or media inquiries. Having Big Brothers Big Sisters develop a partnership between law enforcement and our youth, through the Bigs in Blue program, will help break down barriers, build mutual understanding, and foster lasting relationships. Meet Commissioner Richard Ross Jr.
Commissioner Richard Ross Jr. is the Big Brothers Big Sisters of America Police Spokesperson. He believes strongly in the mission of Bigs in Blue, and he leads the fourth largest police department in the nation. He was sworn in as Philadelphia Police Commissioner in January 2016. 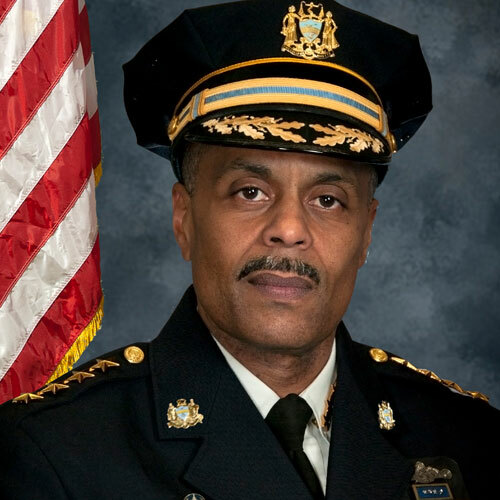 Commissioner Ross brings more than 27 years of service, experience, and expertise to the Philadelphia Police. Since joining the Philadelphia Police Department in April of 1989, Ross has worked in various units, including patrol, special operations, the detective bureau, homicide, and internal affairs. Commissioner Ross was born and raised in Philadelphia. Through the years, he has earned respect in the department and in Philadelphia’s communities. He believes in community policing and the power it has to effect change in this country. Ross also believes in the importance of mentoring, and mentors a number of young people. Commissioner Ross has received numerous awards and citations, including the Gary P. Hayes award for excellence in policing and a Harvard Kennedy School leadership certificate. He has an undergraduate degree in labor & industrial relations from Penn State University, and a Master’s Degree in criminal justice from Saint Joseph’s University. He is a graduate of the Northwestern School of Police Staff and Command, the F.B.I. National Academy and the National Executive Institute, the Police Executive Leadership Institute.